Welcome to the 22nd issue of Tourism Around Europe, a quarterly newsletter supporting the development of competitive and sustainable tourism. For this issue, I had the pleasure of interviewing Helene Lloyd, Director of TMI and independent Tourism Marketing Consultant. We talk about skills in marketing and innovation, key destination trends and the link between marketing and sustainable tourism. The key topic this quarter is "skills development". "Skills are a pathway to employability and prosperity. (...) In a fast-changing global economy, skills will to a great extent determine competitiveness and the capacity to drive innovation." ( "A new skills agenda Europe*'). This is particularly true for the tourism sector as a people-oriented industry. Within this context I am pleased to lead The Next Tourism Generation Alliance (NTG), on behalf of Federturismo Confindustria. This is a project funded by the European Commission. NTG will establish a BluePrint for Sectoral Skills Development. The main scope is to encourage cooperation between industry and education in five key tourism sub-sectors: hospitality, destination management, food and beverage operations, travel agencies and tour operators and visitor attractions. NTG will follow PM4SD methodology. 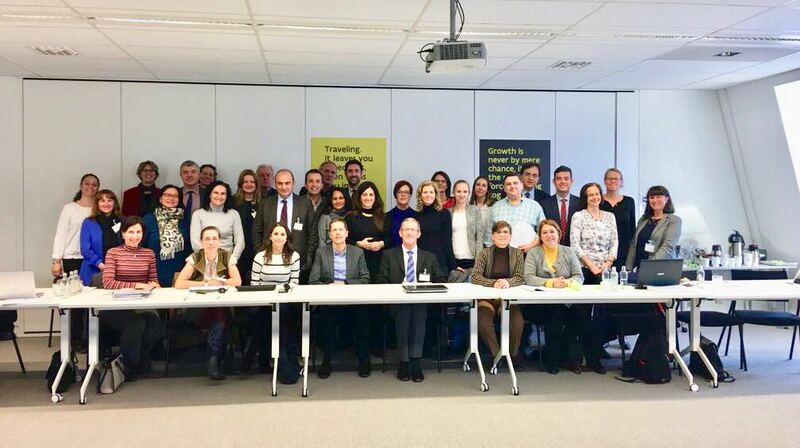 A training course was held in Brussels, to co-incide with the project kick-off meeting in March and was supported by the training platform developed by TrainingAid. 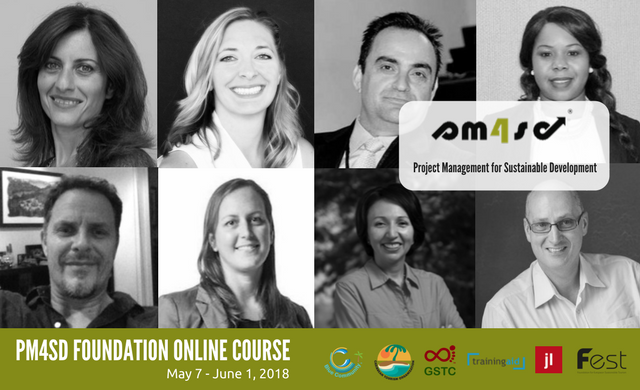 The next PM4SD online course will take place from May 8 - June 1 2018. This is a great opportunity for professionals and partners interested in applying for upcoming funding opportunities which have deadlines in June (Life, Interreg Europe, Interreg Adrion, Erasmus). See the newsletter section dedicated to Funding Opportunities for more information. I hope you enjoy reading this issue, we also talk about the European Union Tourism Trends, the EU Visa Policy, the risks to the tourism industry from climate change, key governance reforms. Before you go, don’t miss this Awards news. You will find news and opportunities about three European awards for destinations: European Capital of Smart Tourism, Sustainable Cultural Tourist Destinations, and Green Destinations. For this issue I had the pleasure to interview Helene Lloyd, Director of TMI and independent Tourism Marketing Consultant. 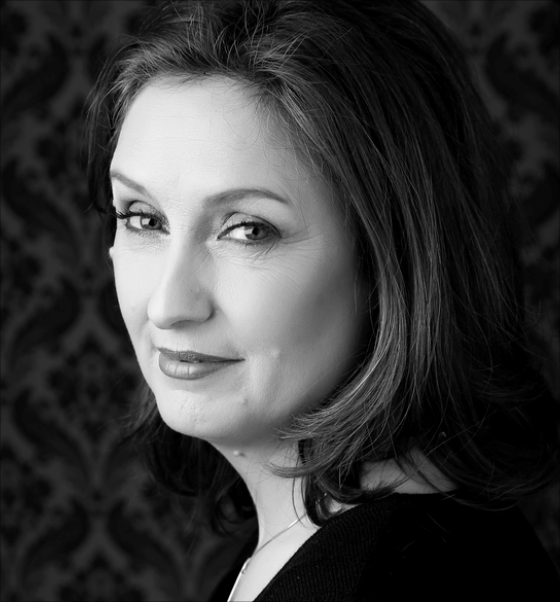 Through her experience of marketing a variety of destinations and other hospitality products (cruises, Luxury hotels and designer shopping outlets), she has gained expertise in both the luxury sector and the MICE segment. Her most recent area of focus is the digitalization of the travel sector and the disruption this has caused the whole distribution system, as well as the growing influence of opinion leaders via social media. SB: Which are the key destination marketing trends for destinations in 2018? SB: How to combine marketing and sustainable tourism? HL: Increasingly up- market travel destination and product not only understand the visitors concern for the environment and the sustainability of a destination, but the clever ones make this an integral part of their being. A great example of this is the newly created destination in Greece called Costa Navarino, which was created in the Greek mainland (Peloponnese) which has been largely untouched and un-spoilt by tourism. The aim of this project is not just to create a resort but to create a new destination in Greece and incorporates the very best practices of sustainability, not only did they move and replant over 4000 olive trees whilst building the resort, but their aim is to provide employment of the local people, living in this region and train them up to be professionals. The numerous food and beverage outlets at the resort, are mainly provided with organic and locally grown food and they have been so successful at it that they have now developed their own Costa Navarino brand of organic food. We are likely to see more of these synergies in the future, rather than cheap and unplanned tourism destinations. The new report ‘European Union Tourism Trends’, prepared by the World Tourism Organization (UNWTO) in cooperation with the European Commission, underscores tourism’s major social and economic benefits for 28 countries comprising the European Union (EU). EU destinations welcomed 538 million international overnight visitors in 2017, 40% of the world total. EU accommodation establishments provide over 3 billion nights a year, half of which to domestic guests (residents) and half to international guests. Tourism accounts for 6% of the EU’s overall exports, while the direct contribution of tourism to individual EU economies reaches up to 11% of the GDP. Over two million businesses dedicated mainly or partially to tourism operate in the EU, most of them small and medium-sized enterprises (SMEs), employing some 12 million people. For individual EU economies, the direct contribution of tourism to GDP is as high as 11%. EU tourism is driven by both domestic and international visitors. Accommodation establishments in the EU offered 31 million bed-places in 2016. Guests spent a total 3.1 billion nights, half of which were by domestic visitors (residents) and half by international visitors. Of the 1.5 billion international nights, 1.1 billion were spent by guests from EU countries and 413 million by guests from outside the EU. The Commission is proposing to reform the EU's common visa policy to adapt the rules to evolving security concerns, challenges linked to migration and new opportunities offered by technological developments. The proposed changes to the Visa Code will make it easier for legitimate travellers to obtain a visa to come to Europe, facilitating tourism, trade and business, whilst strengthening security and mitigating irregular migration risks. The tourism and travel industry plays a key role in the European economy, representing around 10% of the EU's GDP. Whilst EU Member States are among the world's leading tourist destinations, lengthy and cumbersome procedures can deter tourists from travelling to Europe, redirecting investment and spending to other countries and affecting the EU's economy negatively. 1. The decision making time for visa applications will be reduced from 15 to 10 days. It will be possible for travellers to submit their applications up to 6 months in advance of their planned trip, instead of the current 3 months, and to fill in and sign their applications electronically. 2. Multiple entry visas with longer validity: Harmonised rules will apply to multiple entry visas to better prevent "visa shopping" and to reduce costs and save time for Member States and frequent travellers. Such multiple entry visas will be issued to trusted regular travellers with a positive visa history for a gradually increasing period from 1 up to 5 years. Travellers' fulfilment of entry conditions will be thoroughly and repeatedly verified. 3. Short-term visas at external borders: To facilitate short-term tourism, Member States will be allowed to issue single-entry visas directly at external land and sea borders under temporary, seasonal schemes subject to strict conditions. Such visas will be valid for a stay of a maximum of 7 days in the issuing Member State only. 4. Additional resources to reinforce security: In view of significantly increased processing costs over the past years, a moderate increase of the visa fee (from €60 to €80)– which has not increased since 2006 – will be introduced. This moderate increase is meant to allow Member States to maintain adequate levels of consular staff worldwide to ensure stronger security screenings, as well as the upgrading of IT equipment and software, without representing an obstacle for the visa applicants. In April 2018, EU countries adopted the Commission's proposal to revise the Europass framework. The new framework will offer intuitive, modern tools that reflect people's needs in the context of today's labour market and education and training systems. The new Europass will offer services to enable people identify and communicate their skills and qualifications, such as an enhanced tool for creating CVs and portfolios, as well as self-assessment tools to help individuals understand the value of their skills also include a range of relevant information on learning opportunities, qualifications and guidance. The result will be that users can access a full range of services on skills and qualifications in a single location. The new Europass Framework will work with other services across the labour and education and training systems to allow an easier exchange of information and data. Europass will continue to evolve over time in line with users' needs and make best use of technology. The Commission has now delivered on all ten actions announced under the Skills Agenda for Europe, launched in June 2016. Climate change is a significant risk for the tourism industry, and the report commissioned by the European Travel Commission provides a first global analysis of the risks to the tourism industry from climate change. While it draws on high-level climate change expertise, it also contains the views and experiences of 17 travel and tourism leaders, who acknowledge that the viability of some destinations is seriosly threatened, and investigates ways in which tourism can become part of the global solution to tackle the risks of climate change. The research was published in March 2018 and is available for free download. It will focus on the skills gaps in digital, green and social skills and in fuve specialist sub-sectorsn five key tourism sub-sectors: hospitality, destination management, food and beverage operations, travel agencies and tour operators, visitor attractions. Flexible learning and training methods will enhance skills responses and provision to ensure a competitive, sustainable, contemporary and authentic visitor experience. We had the kick off meeting combined with the PM4SD certification training to initiate the project. For more information drop me an email, there will be several oppotunities to cooperate. The tools and materials developed benefit different stakeholder groups such as jobseekers and small and medium sized enterprises (SMEs) in the tourism sector. The digital revolution is not only about large tech companies but essentially about start-ups and SMEs that provide or use digital solutions. SMEs compose 95% of the European economy. The variety is huge, from innovative and fast-growing companies that provide or use digital solutions, to those that face significant challenges such as acquiring the necessary skills to benefit from digital technologies. Addressing hard to fill digital skills' requirements will allow SMEs to continue to push the European economy forward. A monitoring mechanism to monitor skills gaps and to track progress of the implementation in the coming years until 2023. Your expertise and experiences are important. Are you an IT professional, advanced user or manager in an SME who made a start in applying Big Data and/or IoT, while addressing Cybersecurity challenges? Or are you preparing these steps? You can help by participating in our survey, an interview, or one of our workshops. This call for proposals under the Erasmus + programme will support transnational cooperation projects in the fields of education, training and youth. Projects are encouraged to include activities related to the European Year of Cultural Heritage 2018. The Commission invites legal persons (entities) registered in the European Union (EU) to present proposals for the 2018 Call for proposals for LIFE Action Grants. The call covers proposals for both LIFE sub-programmes. For the sub-programme for Environment, this call will cover action grants for "Traditional" projects, Preparatory projects, Integrated projects, Technical Assistance projects. For the sub-programme for Climate Action, this call will cover action grants for "Traditional projects", Integrated projects, Technical Assistance projects. The fourth call for project proposals opens on 7 May and closes on 22 June 2018. All the remaining European Regional Development Fund will be available for this fourth call. Get ready for the fourth call for project proposals. The Interreg V-B Adriatic-Ionian 2014-2020 (hereinafter ADRION), set up in the framework of the European Territorial Cooperation (ETC) - one of the objectives of the cohesion policy - is launching its second call for proposals for Priority Axis 2 Sustainable Region, and invites all interested eligible public and private applicants to submit project proposals. The European Commission is launching a competition to award the title of European Capital of Smart Tourism 2019 to 2 European cities with the most smart, innovative and inclusive approaches to their tourism development. New tourism awards scheme launched as a contribution to the European Year of Cultural Heritage 2018 by European Travel Commission, Europa Nostra and the European Cultural Tourism Network (ECTN). The European Green Capital and European Green Leaf (for smaller cities) Awards showcase cities that have made outstanding progress in reconciling environmental, social and economic pressures. t’s that time of year again! 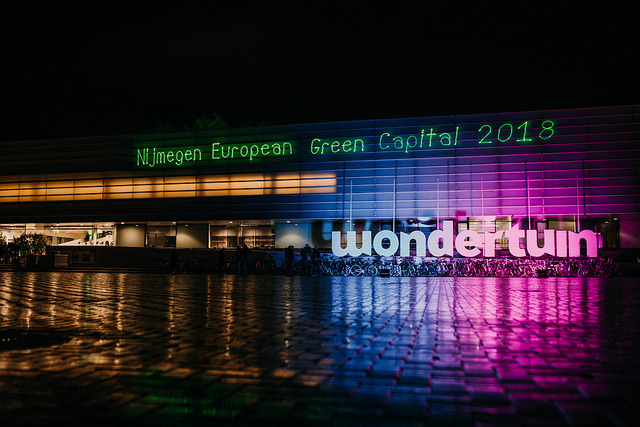 The finalists for the 2020 European Green Capital Award (EGCA) and 2019 European Green Leaf Award (EGLA) have been announced! Ghent (Belgium), Lahti (Finland), and Lisbon (Portugal), have made it to the final of the EGCA 2020. This is the second time these three cities will be in the same final, having all been shortlisted for 2019 competition! The five cities shortlisted to compete for the European Green Leaf Award 2019 (EGLA) are Cornellà de Llobregat (Spain), Gabrovo (Bulgaria), Horst aan de Maas (Netherlands), Joensuu (Finland), and Mechelen (Belgium). Stay tuned for the announcement of the winners of the European Green Capital 2020 and European Green Leaf 2019 Award in June 2018. The Applicant Workshop for the 2021 European Green Capital Award will take place on 2 July 2018 in Brussels. The Workshop will provide cities with an overview of the 2021 Evaluation Process along with helpful tips and advice on what makes a successful application. Tourism in OECD countries continues to perform strongly and remains a major contributor to national economies, accounting for, on average, 4.2% of GDP, 6.9% of employment and 21.7% of service exports. However, sound and integrated policies are needed to ensure that tourism remains a competitive, sustainable and inclusive sector in the years to come. According to OECD Tourism Trends and Policies 2018, OECD countries experienced strong growth in 2016 (3.9%) and accounted for over half of total global arrivals (55%) and travel receipts (60.4%). For the period 2012 to 2016, average annual growth in the OECD area (4.9%) was higher than global growth (4.4%). However, the longer term trend is for slower growth relative to emerging economies. OECD Tourism Trends and Policies 2018 focuses on key policy and governance reforms in tourism and provides a global perspective with the inclusion of 49 OECD countries and partner economies. Two chapters analyse the role of megatrends in shaping the future of tourism, and the need for greater investment and financing for sustainable tourism. The tourism economy is evolving rapidly, and sustainable development of the sector will depend on its ability to adapt to emerging economic, social, political, environmental and technological trends. The report highlights the need for tourism policy makers to build strategic approaches and modernise regulatory frameworks, to adapt to an increasingly dynamic environment. OECD Tourism Trends and Policies 2018 is undertaken in co-operation with the European Union. As Jlag, we are delivering PM4SD (Project Management for Sustainable Development) training online courses in partnership with TrainingAid. The second edition of the PM4SD online course (PM4SD-1802) is scheduled for May 8 – June 1, 2018. ​The first course (February 19 – March 16, 2018) was attended by 33 tourism industry professionals from 15 countries, representing various sectors and diverse perspectives. Cardiff Metropolitan University has become the first university in the UK to become an Accredited Training Organisation (ATO) for APMG’s Project Management for Sustainable Development (PM4SD) Certification.